Are you sure you want to remove Industrial price formation from your list? 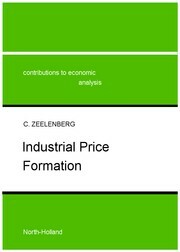 By developing, analyzing and empirically applying models of industrial price formation, in particular in open economies, this books shows how models that have been derived from the micro-economic theory of producer and consumer behavior, can actually help to explain price formation in industries. The models will be applied to data for the Netherlands in the period 1961-1979. 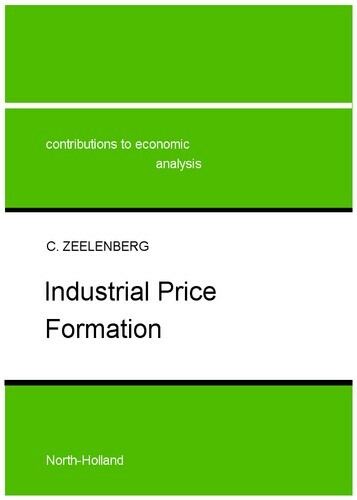 There are several reasons why it is useful to study industrial price formation and to use a micro-economic theory. Firstly, application of models of industrial price formation may give an answer to questions as: do more concentrated industries have higher profit margins than less concentrated industries? ; are prices in more concentrated industries less flexible than prices in less concentrated industries? ; does strong foreign competition lead to low profit margins and to lower price increases? Secondly, existing models of macro-economic or industrial price formation are often constructed ad hoc, with little theory and with many 'plausibility' arguments. In general, this yields little interpretation of the coefficients and thus hardly any restrictions. On the contrary, a micro-economic approach does give a clear interpretation to the coefficients and a theoretical basis to the inclusion of variables. For example, in studies of industrial price formation the domestic market share (or its complement, the foreign market share) is often used as an explanatory factor of the price-cost ratio; the argument is that a low value of the domestic market share means that foreign competition is heavy, which leads to low profit margins. This ad-hoc approach can easily lead to circular arguments, since the domestic market share depends in turn on the ratio between domestic prices and foreign prices. 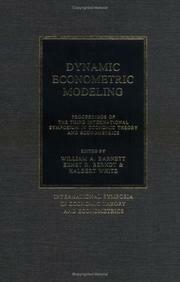 In Chapter 6 of this book it is shown how this variable arises from a micro-economic model, how its coefficient depends on the elasticity of substitution between domestic and foreign products, and that, according to the theory, this coefficient is positive. The approach followed in this book can be used to answer questions surrounding the differences between concentrated and less concentrated industries, and to examine whether strong foreign competition leads to low profit margins and lower price increases. 1986, North-Holland, Sole distributors for the U.S.A. and Canada, Elsevier Science Pub. Co.
December 24, 2012 Edited by Kees Zeelenberg Edited without comment. December 21, 2012 Edited by Kees Zeelenberg Edited without comment.